This place has it all: Affordable, beautiful hill country lake view, and so much more! This was my wedding venue last weekend and the entire staff was amazingly accommodating! The Gazebo was re-painted just in time for my wedding ceremony, the floor was waxed so it was ready for our reception, and the venue was absolutely beautiful! I attended their open house in May and immediately fell in love with scenery and the friendly, down to earth staff. On top of all that, it was the most affordable venue that we came across and included a huge selection of amenities. 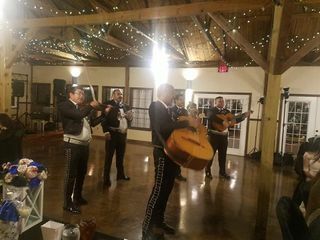 We chose the 24 hours wedding and did have to taper our guest count down to 150 due to seating space but it was the best decision I made for the wedding. We came here to look at a venue and cabins for our wedding and the service was amazing and the place is beautiful I’m so thrilled we’ll be getting married here!!!! The wedding package is AMAZING. For the price you get SO much. Thank you for your kind words! We are equally excited that we will be hosting your beautiful event. Can't wait! I absolutely fell in love with this location! It was beautiful and all of the staff were amazing! I can’t wait until my wedding day! You will really get so much more than you can even imagine for the cost! I’m so excited, I wish it were already March!!! This place is beautiful and maintained well. The staff is so nice and responsive. I do believe it is family run, so there aren't many employees. But if you leave a message they always get back to you that same day. 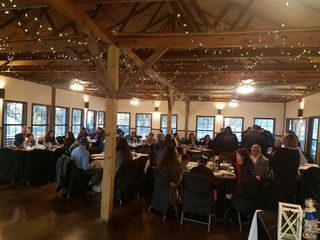 You can do as little as you want at this venue and hire vendors or you can do as much as you want...all the way from decorations to your own meals. They provide a fully functioning kitchen. There are cabins on the grounds for your guests to stay in as well. Perfect if you are serving alcohol. I can't even begin to describe how perfect this venue was...my wedding weekend was magical! Melissa and Mallory were very attentive and allowed me to really make the venue my own to create a beautiful setting. They were very laid back and flexible. The guests loved staying in the cabins close by and the cabins were very nice too! The venue is such a gorgeous setting, I couldnt have imagined a better place. Thank you again! I cannot say enough wonderful things about this venue! We rented the venue for the whole weekend and it was less than $3000. There are no restrictions and the owners are very laid back. Our wedding was perfect and the main reason was because of this venue. It's simple, yet beautiful and provides the perfect place for a big family wedding!!!!! We looooooved it!!!! OMG! Words can not express the amount of gratitude I have for this place. It was the perfect location for my small wedding and it was gorgeous. I am so thankful for their constant communication with me. Thank you so much! I loved this venue for my wedding! It was perfect! The owners were very helpful and nice. I liked the convenience of everything being in one spot so no one had to travel to different places. The only downfall to this, we were under the impression only the wedding guests was going to be there but, there were people staying there that were not apart of the wedding, and they were very rude and inconsiderate. Our family and friends could have rented out the entire place but CLCC opened it up to the public too soon causing us to look for other hotels to accommodate our guests. I had my wedding here on 4/19/2014 and I am so glad that I found this place. The owners Pierre and Lynne were so nice and accommodating and the manager Melissa is such a sweetheart. The venue is perfect if you are looking for a country/rustic atmosphere with an indoor as well as an outdoor space. The lit trees and gazebo and the view of the lake were a perfect touch for that romantic feel. We had our ceremony at 6:30 PM and the weather was perfect. My guests kept asking how I found the place and kept complimenting how beautiful it was out there. I loved the fact that we didn't have to choose from a list of vendors. We did our own cooking for our reception since we have a family full of awesome cooks and they provided a full kitchen and barbeque pits just outside the kitchen for us to use. I also liked that the package included a cabin for the weekend. It was very convenient. I did not have any complaints at all. This is an awesome venue especially for the price! My brother-in-law & Sister-in- law got married here, and the entire family stayed on site. We had a great time! Funnest wedding we've ever attended. Everything was nice and clean...and VERY comvienent for everyone in the wedding party. The owners were VERY accommodating and let us start decorating the day prior. There were also several accommodation choices to choose from. The pool was a great way for family and friends to hang out! The scenery was breathtaking! I HIGHLY recommend the facility for a family, friend or group weekend! Everything was perfect!! We were even allowed to use the big kitchen to make a big breakfast the morning after the wedding! Lynn and Peire were very easy to work with. The OutBack hall and ground were all lite up with white lights. It was nice to be able to rent cabins and stay on sight. We absolutely loved this venue. Our family had a great time and was so convenient that we could stay at the same venue of our wedding. Also we had the venue for 2 nights for an amazing rate. The only bad thing, was the restrooms broke so our guests had to use our cabin to go to the bathroom. Our guests were understanding though. Thank you for taking time to leave such kind words. Your wedding was beautiful and fun! We appreciate you and your guests' understanding on the bathroom situation, and rest assured, it has been fixed! Many blessings for your married life! 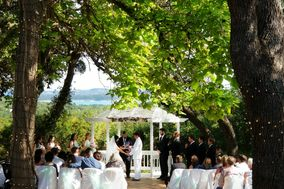 The staff was very friendly and when it came to the big day they were kind enough to make sure that everything was running smoothly. Also they had additional supplies there just in case we didn't have enough or missing anything. The site was a beautiful location for outside ceremony and the dance hall was beautifully lite up. 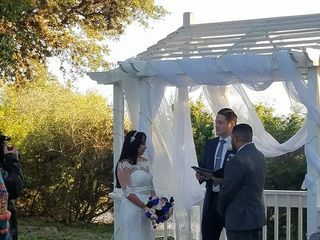 My husband and I would like to thank the staff of canyon lake cabins and cottages, our wedding turned out perfectly and your helping hand was very much appreciated. I could not have chosen a better place for our wedding! It was absolutely gorgeous! Lynne and Pierre were always very friendly and kind! They hardly had any restrictions and all of my crazy bridezilla like requests they were okay with!